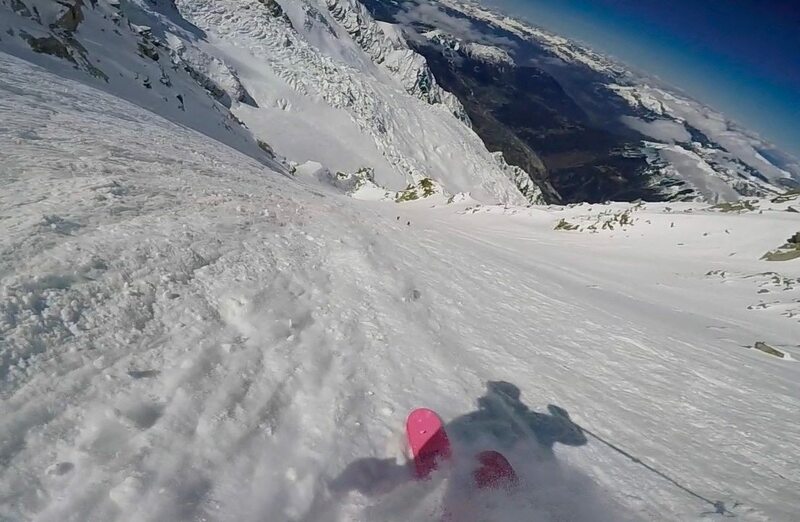 I’ve always valued a ski’s performance in steeps and at speed more than its weight, but I’ve also been spending at least as much time touring as I so skiing inbounds, and I liked the idea of making the up a little easier. So which would be the better choice — the Corvus, or the Corvus Freebird? Alex Mueller on the Black Crows Corvus Freebird. Back when I was still debating which ski to go with, I began leaning toward the Freebird. But I then came across a Black Crows video staring Julien Regnier and a dude dressed in a white crow suit (not black??) reminiscent of scene out of Eyes Wide Shut, describing how they reduced weight from the Corvus: thin the bases and edges. So given that we run over a lot of rocks around Taos, I went with the regular version of the Corvus, mounted them up with Marker Kingpin 13s, and sentenced my touring partners to wait for me while skinning the backcountry on a heavier ski. The first time out on the Corvus did not disappoint (well, except for my friends, who had to wait for me). Immediately upon dropping on to our local quick lap that was pasted with 8-10” of fresh, I was treated to high-speed pow skiing, and could effortlessly transition between GS and slarved turns with just a slight shift in stance. I spent a good portion of the 15/16 season on the Corvus / Kingpin setup, and was impressed by this touring setup’s versatility and ability to charge. For the record, it wasn’t till later that I realized that I’d been handcuffing the regular Corvus by putting an AT binding on them, even the best-skiing AT binding, the Kingpin 13. I’ll fast-forward here a bit to the day when Jonathan sent me the Corvus Freebird to review. I took the Kingpins off the regular Corvus and put them on the Freebird, then mounted a Look Pivot 14 WTR binding to the Corvus. The Pivot 14 completely changed the behavior of the Corvus. While demanding a lot of control and input when mounted with AT bindings, the Looks provided the leverage needed to really let the Corvus flourish, and provided the power transmission to drive the ski in any condition. It’s worth keeping this in mind: we still love the Kingpin, but in terms of pure downhill performance, it is not the same as an excellent dedicated-alpine binding. On the Pivot 14s, the Corvus still needed to be skied with power (even with the added leverage), but you are rewarded with even more stability at speed through big turns. In conversation with guides who have a quiver of Black Crows skis, they noted that they steer clients toward the Anima or Nocta, since the softer character of those two skis makes them as versatile as the Corvus in deep snow, but more forgiving for those who aren’t into the “game on always” mindset. Yet for a ski that is very good at high speed, the Corvus has a large sweet spot, and is only intolerant of full-on backseat skiing. For the record, I don’t regret having mounted the regular Corvus with AT bindings. On Kingpins, I was still able to ski hard on the Corvus through inbounds and backcountry crap snow. But with a pair of Pivot 14 WTRs, I would say that the Corvus is as good as any comparable ski that I’ve been on (e.g., Dynastar Pro Rider XXL, Scott Punisher 110). While it shares DNA with the Corvus, the Corvus Freebird is a different beast. 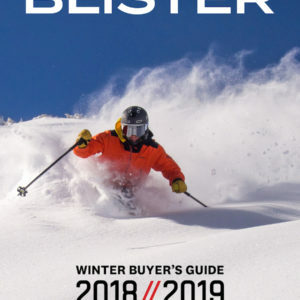 It is billed as a powerful touring ski without compromise, but curiously, the prescribed conditions for its use are “perfect winter conditions.” As you will read later on, I think you can ditch the word, “perfect.” The Freebird is a relatively lightweight touring ski that is not twitchy and holds up pretty well at speed. I skied the Freebird inbounds at Taos and in the surrounding backcountry, toured on them on Red Mountain Pass, Colorado, and took them to Chamonix last April to use as my single ski quiver, where they saw a wide variety of conditions. Starting them out inbounds on hard bumps with some dust on top allowed me to immediately test the limits of this light ski in the conditions that it was not designed for. Initial impressions were positive for a touring ski with AT bindings, on the aforementioned dust on month-old bumps. The ski tracked surprisingly well for its weight, the tip rocker kept the skis from getting hung up, and the flex of the shovels allowed me to drive the shovels without overflexing them. On smooth groomers, I was able to put the ski on edge at high speeds, showing off pinkie’s stability and responsiveness when under load. The Freebird allowed for a rapid transition from edge to edge, the weight reduction made them nimble between turns, and the skis felt much more comfortable when driving the shovels hard. It will be a recurring theme of this review: neither the Corvus nor the Corvus Freebird want to be skied from the backseat. The next night’s storm provided us with a decent helping of fresh in the backcountry, offering a chance to get a feel for the Freebird in soft, consistent snow. Dropping into a chute that had been filled with 6 inches of untracked, thick snow, I found the ski to be stable and the tip rocker to be enough to allow me to comfortably drive the ski in a forward position without worrying about the tip diving. While the amount of tail rocker / splay is not extreme, it was enough to allow me to break the ski out of a carve and shed speed. I repeatedly found this to be true — both in deeper, cold snow as well as hot pow. NEXT: Crust / Zipper Crust, Etc. What is your height and weight? How did you find the length on both versions of the Corvus? Ever feel you needed the 193 version? I am just under 6′ and weigh 170 on a good day. The Freebird does not come in a 193, and I was going for an all-around ski when I bought the Corvus. I never missed those extra 4cm on the Corvus when in the deep, and as I spend lots of time in the woods, and billygoating through rocky zones, I think I made the right decision. The ski I’d like to add to my quiver this year is exactly “the one I’d take to Chamonix for a week”, in the search of good powder, not for ice climbing ;-). I’m looking for a little more float and tails easier to break free than my current K2 Sidestash. Sounds like the Corvus is in that field. My other favorit is the Salomon MTN LAB 115 (I wish it came a few cm longer) or maybe even the DPS Lotus Spoon 120 (since I plan to first ski all the good pow accessible with the gondula and then tour). I do have a dedicated touring ski (Salomon MTN 95) and a dedicated big mountain ski (Völkl Kuro). And I’m not a big fan of tip taper. 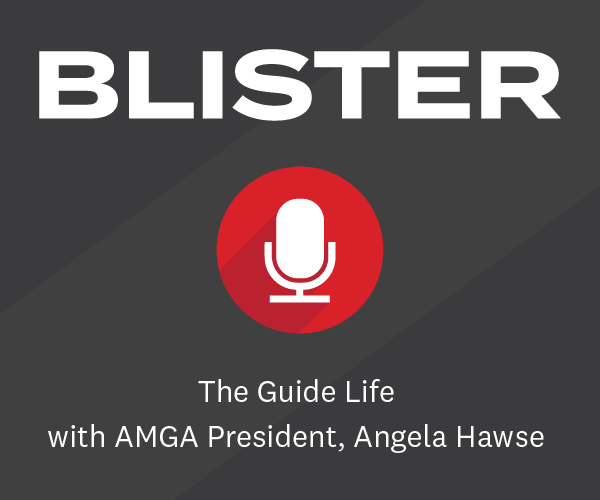 What is the latest on the blister buyer’s guide? I have been checking the emails and this page but could not get any update for the past week or so. Much appreciated. Great work on Corvus. Thank you. Hi, thanks for another great review of another ski i’ve been looking at. I finally settled on the Navis (102 under foot) for here in the French alps but wondered if you had any thoughts on mount point. I’m used to and generally prefer a more centered mount. Do you think moving forward to around -8cm from centre would make the solid tail too much? I would not mount either of the Corvus’ forward, as they do have a fairly solid tail. The Navis is billed as a more forgiving all-arounder, so having a little more tail might be OK. However while it does have an early rise tail, it is not a super rockered ski, and the tip is only 1.5 cm wider than the tail, so I would be weary of tip dive. I find that mounting position is such a personal preference that it is difficult to give advice. I generally take the factory’s word for the relative position of the mount, just check that the center mark really is at the center (on both skis), sometimes that gets misalligned at the factory. Hi Alex, I ride the 193cm regular Corvus today, and even though I like the ski I sometimes feel it can be a little bit too much of a ski for me. I am 184cm 80kg, and a 188cm circus would probably be perfect. What ski could you compare it to that could be just a tad bit more forgiving and might come in a little shorter length? I have tried the 184cm arris (not the 189cm) and felt it was a little bit too “turny” for me. I still want to be able to point my skis and just go. Skis considered are Solomon qst 106, faction candide 3, but it feels like either I get a lot of rocker and a fairly soft ski with short radius or a super cambered ski with loads of metal and long radius. What would be in between, even more so than the Corvus? Thanks! I’ve often let my sense of bigger is better get the best of me, but this time I resisted and got the 183 Corvus. I would expect the 193 to be a lot of ski, with the 183 being more manageable while still enough ski to charge through 99% of what the mountain throws at you. Normally I would have recommended the Atris, as this is a Big Mountain ski with a friendlier character, but it looks like you have tried it already. I don’t have experience with the other ones you have listed but Jonathan might chime in here. If you have a chance, give the 183 Corvus a try, It might just be that sweet spot of a little less ski that the 193 while still retaining the “Charger” characteristic you are looking for. Thanks Alex! I am the similar size as you, 184cm/80kg, and I usually ski skis around 190cm long and all of them have been without much tail rocker. I am just worried that the Corvus in 183cm will feel too short in crud/mank or powder. The Atris I’ve skied has been in 184cm so it could be worth checking the 189 maybe? How would you reckon they compare? Also, would really love to hear Jonathan’s input on this. The list of skis I am looking at are Atris, QST 106, Atomic Backland FR 109, Icelantic Nomad 105. 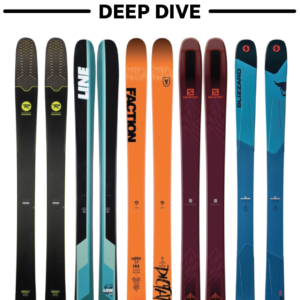 My problem is that either you have to go with a ski that is long, has low front/tail rocker, camber and stiff build OR you have to go for a ski that is shorter with a lot of rocker, less camber and more soft. There is no middle ground, at least not that I have found in this width category. What do you think of the Corvus Freebird in 183 versus the Anima Freebird in 188 with Marker Kingpin Bindings? I have the Anima and I like it, but it is a bit heavy. On the one hand, maybe getting the Anima Freebird would be nice because I know what it’s like. On the other, maybe the Corvus Freebird would be nice for some versatility and maybe it would be lighter on the uphill with more edge grip. I would expect the Corvus Freebird to ski very differently than the Anima Freebird. I haven’t skied the Anima, but in chatting with folks familiar with the entire Black Crows quiver, they have indicated that the Corvus is an outlier in the series. Thus, if you like the Anima, stick with it. The other consideration is the 188 length, as the Anima Freebird is special in being available in that size. I am really happy with the lightness of the Freebird line. There are lots of lighter touring skis on the market, but I prefer to have a bit of power behind the ski, which those super-light skis just lack. Plus, if you are putting Kingpins on them, you are obviously not counting grams. The Freebirds are considerably lighter than the regular Corvus, so don’t let the mass of your Anima’s shy you away from the Freebird version. Hello Alex, thanks for the review. If you ever been skied the K2 Coomback 114, how do you compare it whit the Corvus Freebird? I’m looking for a great all rounder ski that is light for touring, and skiing well in almost every snow conditions. I haven’t skied the Coomback, but what you are describing is what I thought of the Corvus Freeride. We haven’t been on the Prime 3.0, so can’t say. But don’t hate on the pink, it gets lots of compliments and allows you to find a lost ski when it’s buried in snow! Thanks for the nice and comprehensive review! I’ve got a question about the 188 Corvus Freebird. I’ve been skiing on the 189 Atris with Kingpins for the last and this ongoing seasons now and I do like them a lot. I’ve been resisting the temptation to try other (lighter and/or stiffer) skis, but ended testing the 183 corvus freebird at my local resort. I liked them a lot on some windpacked, variable powder and some zipper crust (which is what we have a lot where I live). It felt quite good in those conditions due to it being more nimble but also less chattery (stiffer than the Atris). On some of the deeper stuff it felt slightly short. On bigger hills with good snow I tend to prefer big turns and speed. 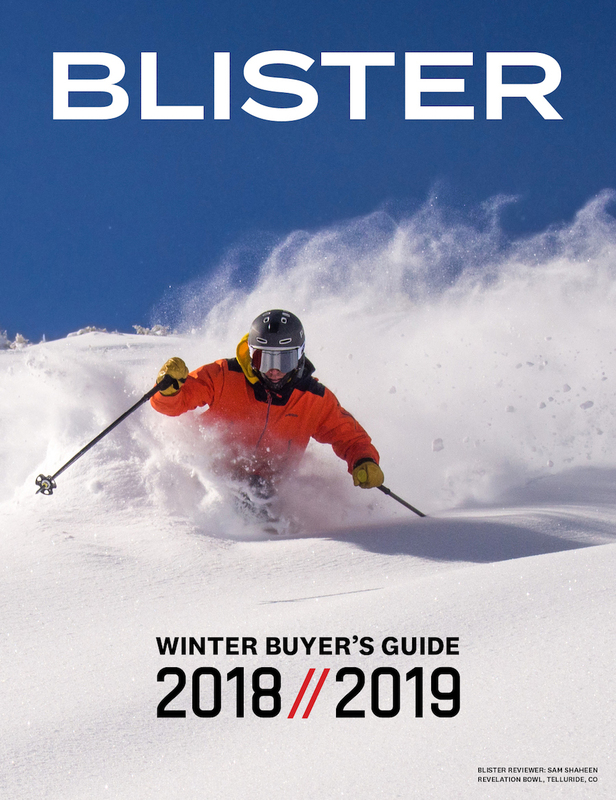 The issue is that there is no 188 tester skis in the country. I’m wondering if the longer corvus would be too much a ski for me. The long Atris has been fine, but apparently it feels short compared to the Corvus. I guess I’m on the bigger spectrum of skiers at 184cm and around 90kgs. I’m not an expert skier, but I have an emphasis on working on my technique. A less forgiving ski might be good on reinforcing proper stance etc, but also frustrating at times. Any ideas and insight would be greatly appreciated! When I tested the Freebird, I don’t think it came in a 188. That said, I resisted my urge to get on a 188 Corvus, and started out on the 183 with Marker Kingpins. The regular Corvus was a bit heavy for touring, and the Kingpins weren’t ideal for driving the ski in bounds, so I didn’t get the full experience of the (normal) Corvus until I got the free birds, mounted them with my kingpins, and then put some LOOK bindings on the non-Freebird version. I came away loving both skis, with the Freebird being a bit better behaved and forgiving. I suppose that I would answer your question by saying that a 188 Freebird should be well suited to what you are describing, but the 188 Corvus would be a little much for touring. I don’t think that you can take advantage of the Corvus’ charging nature with touring bindings, especially not the 188. But the Freebird should be able to perform great and allow for an extra lap due to its weight. Hi, I’m considering the 193 Corvus and 189 Atris for resort duty in Tahoe, 6.5′ and 205 lbs. I am a fan of traditional shaped skis like the Head Monsters and Dynastar Legends. I’ve read the 193 Corvus is a lot of ski, and won’t be able to demo either of these. Sounds like the 17-18 Atris is more stable than the previous year, how much does it give up to the Corvus in stability and top end? Sorry that I missed your question by exactly one year! Unless you are looking for a ski that is full-on, with the requisite effort, I’d go with the Atris as the everyday boards. While the Corvus is noticeably more stable at speed / big air, the Atris will do 90% or more what the Corvus will and be more enjoyable playing around on when you calm down. Hi Alex, interesting review! I don’t suppose you’ve ever skied the Moment Belafonte 12/13 model? 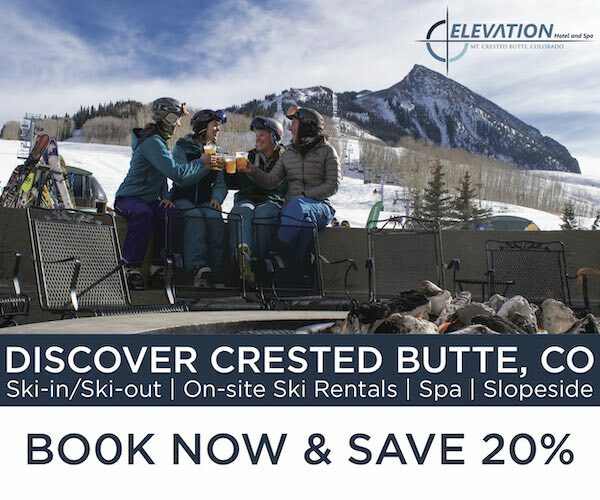 The reason I ask is thats the only ski I have that is reasonably comparable to the Corvus Freebird and was wondering how the two skis tails compare since you say the Freebird can be terrifying when in the backseat. Despite being somewhat scary if found in the backseat does the Freebird have a more forgiving tail as a result of a more gentle tail rocker compared to the Belafontes heavily twinned tail? Thanks for any help! Sorry that I missed this… let me know if you still want an answer to that. Sorry for the late reply, I missed a couple of comments in the thread. If it’s still useful I can give you my opinion. I’ve been skiing the Atris as my everyday ski, mostly because I find it more enjoyable to ski when you aren’t giving it 95+%. The Corvus is a “game on” ski, but not nearly as stiff as the Dynastar XXL or original Hoji skis were, they are definitely more refined than the “much much” stiffer skis used to be. That said, it is a definitely noticeable difference, but the Atris has proven itself super capable. Thanks for the review! How would you compare this ski to the Volkl V-Werks Katana (184cm)? I’m comparing both with Kingpins for a dedicated touring setup. 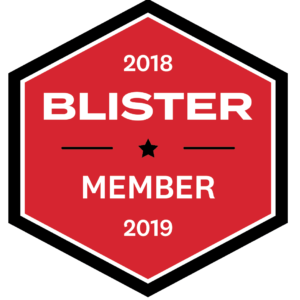 You guys have reviewed both skis favorably so I’d love your thoughts! I haven’t had the opportunity to try the Katana, but if my mental picture serves me right then I remember it having less tip rise than the Corvus. I think it would be a “carvier” ski. But I don’t think you can go wrong with either. If you are doing a dedicated touring setup, I would save the weight on the kingpin binding and go full tech. Curious to how the Corvus Freebird stacks up to other stiff sub 2k gram “Big Mountain” touring skis. Specifically the Scott Scrapper or G3 Sendr. I too am curious, but haven’t had the opportunity to try those. Resident east coaster here. Thanks for the awesome review! 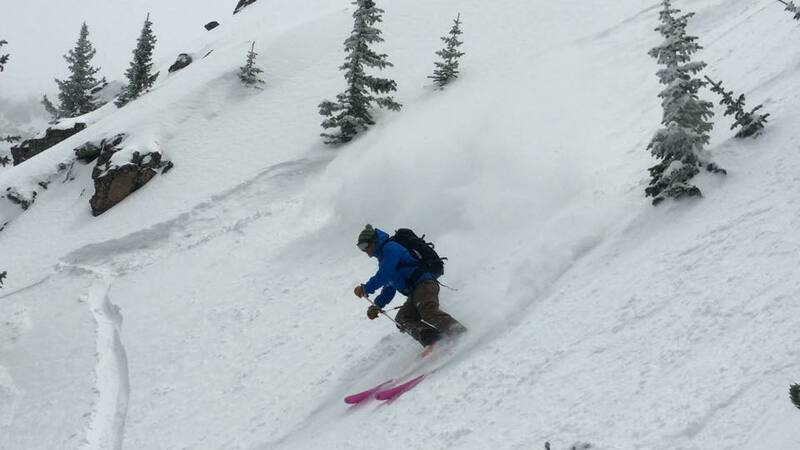 I’m interested in building a one ski quiver to take out west that I can tour on and rip the big mountain resorts. I currently ski Nordica Enforcers and Volkl Confessions and have always been drawn to stiffer skis. However I am a total novice when it comes to backcountry setups having only every rented clunky frame binding skis. Would you recommend this ski with a set of Salomon Shifts as a good entry ski into the backcountry world? Are there any others you’d also recommend? I have my eye on the Katana but it’s rather expensive. Thank you for a very nice review. Have you tried the 2019 ‘normal’ corvus? If so could you elaborate on the difference between them, especially on groomers and hard snow? I’m a little in between. Alot of people recommend the new 2019 Corvus for its performance, but at the same time I’m worried that it feels dull and like a snowblade because it does not have any camber.